French right-wing presidential candidate Marine Le Pen has refused to wear a headscarf for a meeting with the Lebanese Grand Mufti. 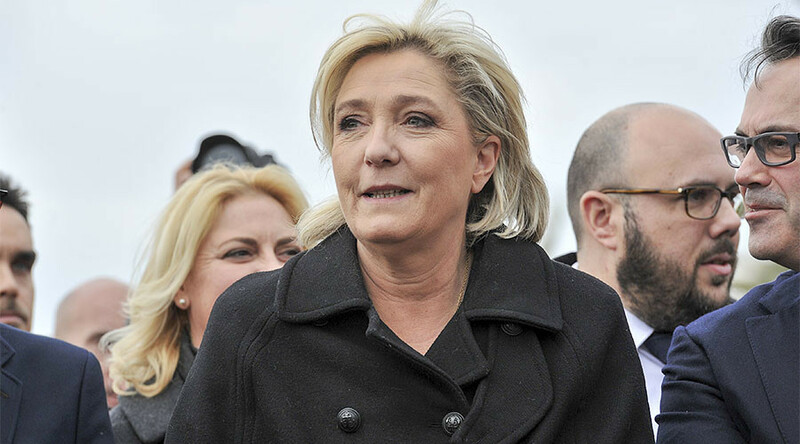 In her statement, Le Pen said she would not cover herself up and cancelled the encounter. Le Pen was scheduled to meet Sheikh Abdellatif Deriane, the Grand Mufti of Lebanon, in his office in Beirut on Tuesday. After arriving, Le Pen was asked to wear a headscarf, but refused. According to AFP, Le Pen was given a veil by Mufti’s aides. “You can pass on my respects to the Grand Mufti, but I will not cover myself up,” Le Pen told reporters. She added that at a meeting with Egypt’s Ahmed el-Tayeb, the Grand Imam of al-Azhar (a prestigious Sunni Islam title), back in 2015, she wasn’t asked to wear a headscarf. The Grand Mufti’s press office said that Le Pen had been informed beforehand of their requirement, Reuters reports. The stunt still produced some praise on social media. “Well done! You shouldn’t mix politics and religion,” one person wrote on Twitter. “A woman is free and equal,” “Bravo,” “A woman does not have to hide her face in front of a man,”said others. “There are those who speak about women’s rights and there are those who actually defend them. Marine Le Pen,” another person wrote. Others wrote that it was just a “show” and she ought “to adapt” to the country which she was visiting.